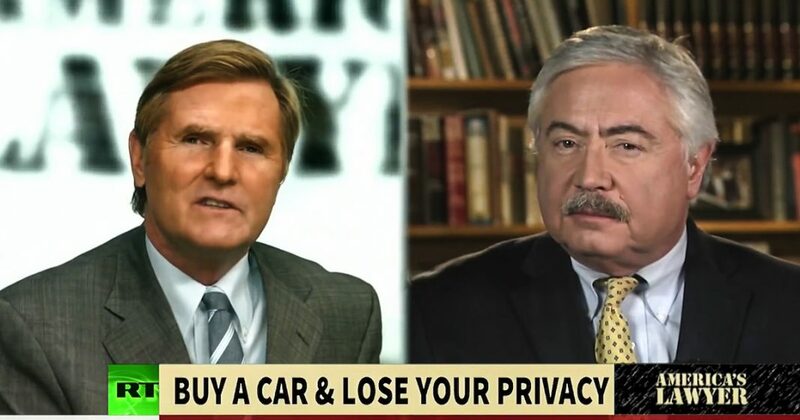 Via America’s Lawyer: Mike Papantonio and Holland Cooke discuss how car companies are using their vehicles as a way to gather private information from consumers. Mike Papantonio:	Ever since the passage of the Patriot Act, American citizens have been living in a perpetual state of uncertainty about whether or not the government is collecting their private data. With all of the recent talks about FISA Courts, and domestic surveillance, that uncertainty has almost turned into a fear that we’re living in a George Orwell novel. But the whole time that we’ve been worried about the government collecting our data without our knowledge, we’ve willfully been allowing private corporations to do just that. We turn on our smartphones, allow our apps to access our location at all times, and we buy products online from companies that store our data and use it to send us targeted advertisements. While all that may seem harmless, it all helps to erode our rights to privacy. That’s just the beginning. Recently, news emerged about how car makers are adding features to their vehicles that allow them to constantly track your location, find out where you go each day, what products you buy, and even more personal information about your body type. They track every part of our driving habits from how fast we drive to how hard we apply the brakes, and there’s no limit to what these car makers can and will do with this private information. The worst part of it all is that we’re giving them this private data willfully. Buried in the contracts of many new purchases, car purchases, are clauses that say you’re willing to let car companies track and store this data about yourself. If you don’t want to sign, you don’t get to buy the product. Big brother is alive and well in the United States. We’re just too busy to think about how active it is in taking our private information. Joining me to talk about this, is Holland Cooke, the host of The Big Picture. Holland, tell us exactly what all auto makers are doing in terms of collecting our data. This story is incredible because most people have no idea what the facts are. Holland Cooke:	It’s not as bad as you say, it’s worse. Coming from radio, this is something I’ve been following closely because radio has traditionally been king in the car. With all these new tech dashboards, we have new competition, here is a figure that will blow your mind. I had to double-check this. The first space shuttle, not the Mercury capsule, the shuttle, had 500,000 lines of software code, and the Ford Motor Company projects that by 2020, your car is going to have 100 million lines of code in it. Think black box, like when an airplane goes down, it’s actually orange, but it’s a bunch of microprocessors and sensors that are collecting the kind of behavioral data you mentioned, even body types. Who is sitting in which seats? Which has some applications, should babies and young children be on the back seat, et cetera? But all of this stuff can be analyzed in real time. They are actually tracking you. If your car is newer than 10 years or so, they’re following your every move. The newer models can track eye movements, the weight issue you mentioned, whether the driver’s hands are on the wheel. But, as you also mentioned, the genie is already out of the bottle before you get in the car. Because your smartphone is constantly reporting as well. Buried in all that fine print you mentioned, that’s where the giveaway is. Mike Papantonio:	Let me ask you this, why would these corporations, I mean, I think I know the answer, I mean, it’s pretty obvious, but why would these corporations even need to know all of this information that they’re collecting? It’s not because they’re trying to make your life better, it has to do with marketing, it has to do with money. If a corporation is involved, and they want information, it always has to do with them making more money. What’s your take on that? Holland Cooke:	That’s obviously number one. There were some benign reasons that they will cite about fuel efficiency, et cetera, but they want to sell your data, they want to sell your identity, and tell corporations what you’re up to. It’s not just corporations, think about these toll gantries. You’ve tracked me down this week in Providence, Rhode Island, where they’re just starting to put up gantries that are going to toll trucks. By statute, that’s all they’re allowed to do, but in the back of your mind, you’re wondering if you go from gantry to gantry too quick, you’re going to get a speeding ticket in the mail. It’s not just hear, I got nabbed in Washington DC, where the speed limit suddenly goes down 10 miles an hour, and the next thing, snap, and you get a ticket in the mail. We are being tracked, but not just by corporations. Money is the bottom line. Every municipality’s budget is stretched thin, so the more fines they can issue, the more tolls they can levy, the better off they are. Mike Papantonio:	It sounded like crazy talk when people started thinking “Well, my Siri might be listening, my Alexa might be listening.” It sounded like crazy talk at first, then all of a sudden, we found out it wasn’t crazy talk. There was no speculation, it wasn’t crazy talk. They were listening to private conversations in your home, listening to private conversations in your car, so we know that, that’s not speculation anymore. 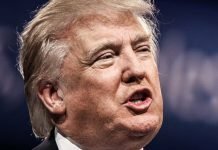 Mike Papantonio:	The real question comes down to why are people willing to give their personal information as if there’s no problem with that? What is your take? Holland Cooke:	I think it’s info overload. We just check off the box. You mentioned a minute ago how when you buy the car, the super small font fine print is your assent for them to be collecting this data. We’ve grown up in the last couple decades in internet for free culture, we assume that we can get whatever we want out there, so we just check off the box. Whenever something seems to be free, you are the product. On my October 13th show, we had John McAfee on, you can find the show on YouTube. If you watch it, you will immediately start deleting apps from your smartphone, because we have let the fox into the hen house in a very gradual way. It is really a cultural shift that a baby boomer might look at and say “I don’t buy into that,” but I think you’ve got an entire upcoming generation that honestly doesn’t care. I’m wondering why they should care? If you were to give the best argument about why they should care, Holland, what would your argument be? Holland Cooke:	I agree with you, it’s easy enough to shrug “Hey, you want to spy on me, I’ll put you to sleep, I’m the most boring person I know.” But take this to its logical conclusion, it’s that Tom Cruise movie Minority Report. Where they are following you in a cyber way to sell you stuff maybe to fine you or toll you, but you’ve really lost control of your circumstances and ultimately of a lot of your do-re-mi. It often backfires, because have you noticed that when you buy something, you’ve already made the purchase, then you start getting marketing for it, because they have ascertained that you have interest in that? To them, that is useless data, to us, it just seems relevant, there is an affinity on Amazon where every time you go to Amazon.com, you find interesting stuff because they know what the other people who purchased what you have purchased also liked. This was Jeff Bezos’ dream, is that you go there and spot something that you’ve always wanted, and ya never knew it. Mike Papantonio:	Yeah. I write fiction books, and as a fiction writer, I’m always doing searches. I did a search one time about what’s the easiest way to break into a car, because I had a character that has to break into a car. For days, I was getting bombarded by how I can go about breaking into a car. I’m just wondering what law enforcement was thinking about that. There are some downsides to it. But I think the end-game for corporate America is that, you know, corporate America is letting government collect all this, this what everybody is missing. Government is collecting most of this information. Then, they’re asking people at Amazon to be a contractor for them, you see. Then, Amazon is a contractor, they don’t really do this because their concerned about national security, Bezos could not give a darn less about national security, his idea is he makes gazillion dollars from the CIA, and the government spying on people various kinds of ways. But he’s a contractor, and he not only makes money from the government, he makes money from that material that target you with information. People don’t seem to care about that, they want Bezos to become a trillionaire by knowing everything he can about you, for whatever reasons he wants. What’s your take? Did I overstate that? Holland Cooke:	No, not at all. In fact, what you just said might surprise a lot of people, because when you think Amazon, you think online shopping. They’re getting a lot of attention now, because they bought the Whole Foods, and they’re going to start delivering. Lately they have rocked to the insurance industry because they threatened to go into healthcare. Whenever you see the words Amazon and prescription drugs in the same sentence, you watch CVS stock go down, everybody knows that part. What a lot of people don’t realize, which you just said, is that they are a huge government contractor leasing out IP, Information Protocol, and server space, and running the government software. They’re tapped in. Mike Papantonio:	Right. Holland, let’s pick up with this conversation another time, thanks for joining me, there’s so much to talk about when it comes to government and corporations spying on us. Thanks for joining me.